With the lack of cats and dogs outside, we tend to have a lot of wildlife around the office. 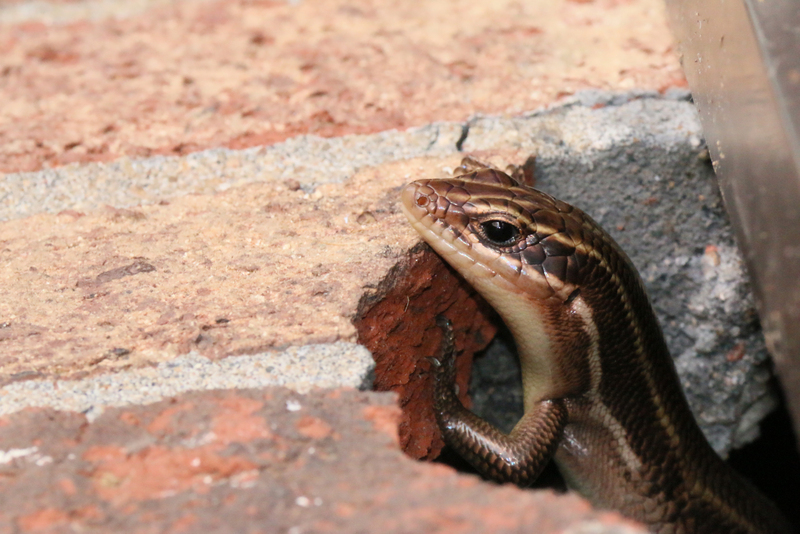 We got a close-up of this skink today who really digs the sunshine and bricks. Signs of Spring are showing up all around the Four Rivers Region. During this morning’s rain, we snapped a photo of this guy hanging out on our door step. 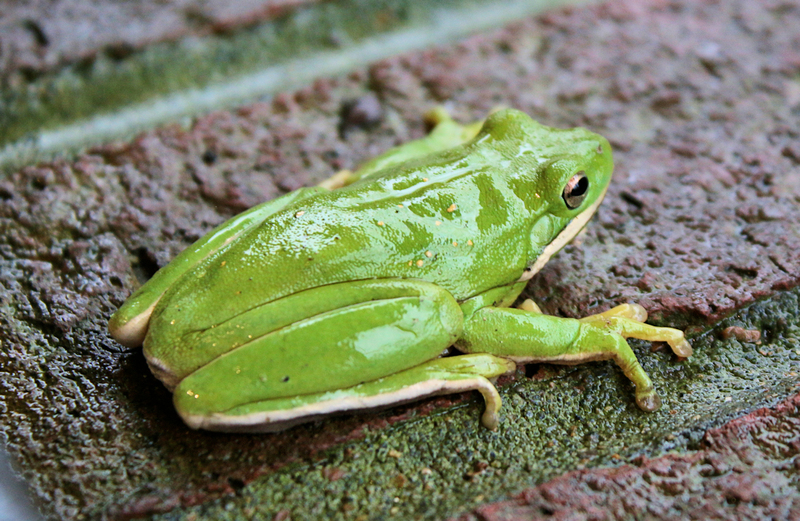 We see tree frogs often around here, but this one was one of the biggest we’ve seen in our backyard. To find out more about the different types of amphibians in Kentucky, check out this resource from Murray State University. The Woodlands Nature Station in Land Between The Lakes is home to many native animals. 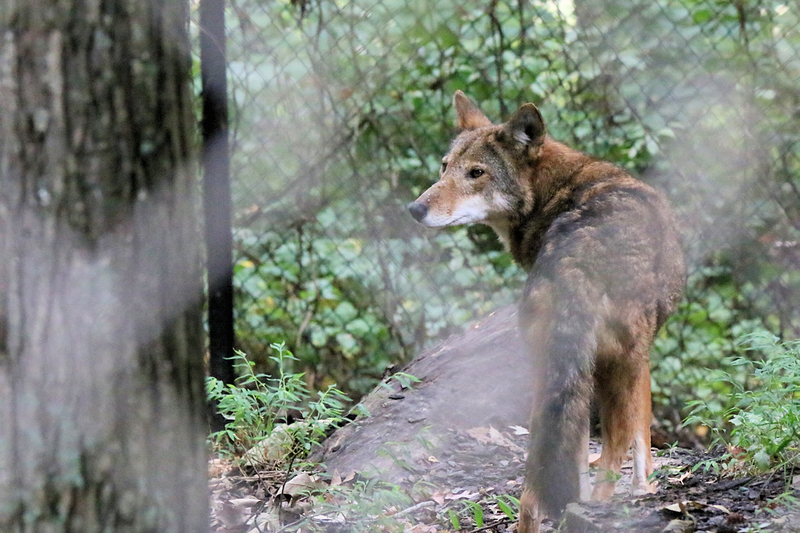 The red wolf, which was native to our area at one time, is one of the center’s residents. It’s a little difficult sometimes to capture this elusive animal since he seems to prefer his den. However, last weekend, we were able to snap this photo of him through the fence. 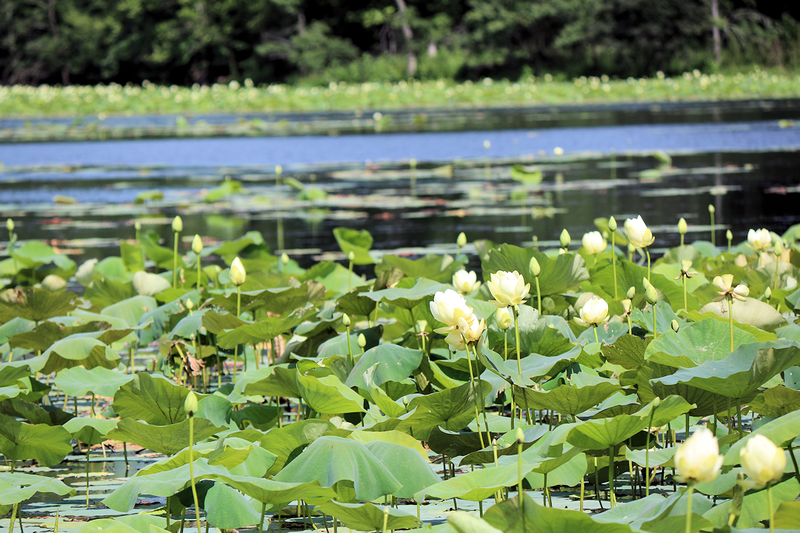 Honker Lake has a lot of lily pads, which provides great photo opportunities for outdoor enthusiasts. 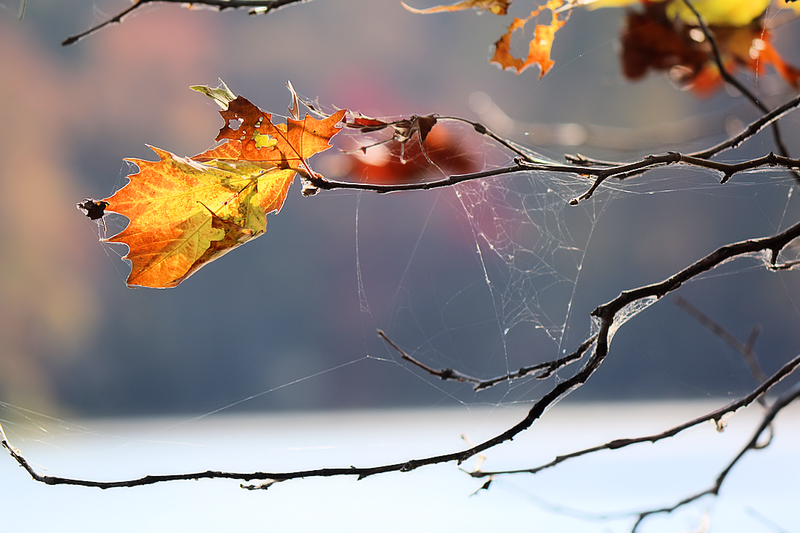 Summertime at Honker Lake in Land Between The Lakes is a great place to hike, see wildlife, and get some great photos. Read more about Honker Lake. The sunlight reflects off one of the Columbus-Belmont State Park’s chain links. 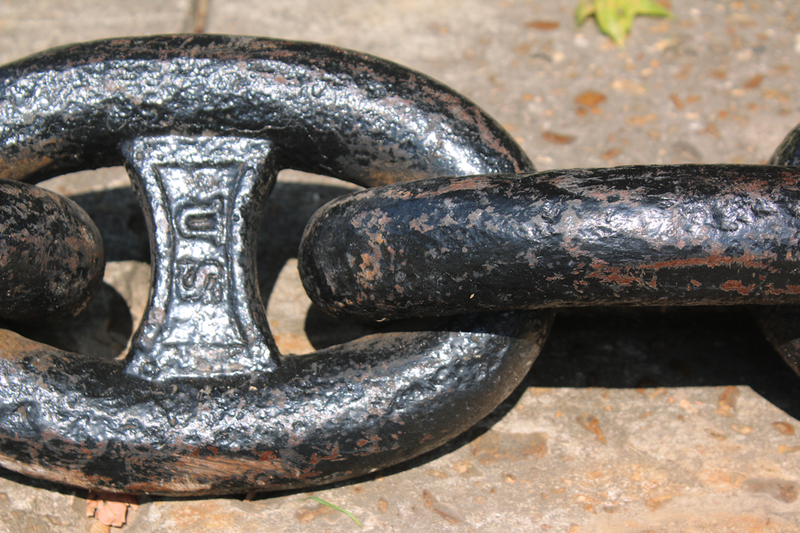 This large chain once stretched across the Mississippi River during the Civil War. Columbus-Belmont State Park in Columbus, Ky. features many Civil War artifacts. One of the most prominent is a large chain and anchor which was used to prevent Union boats from traveling down the Mississippi River. 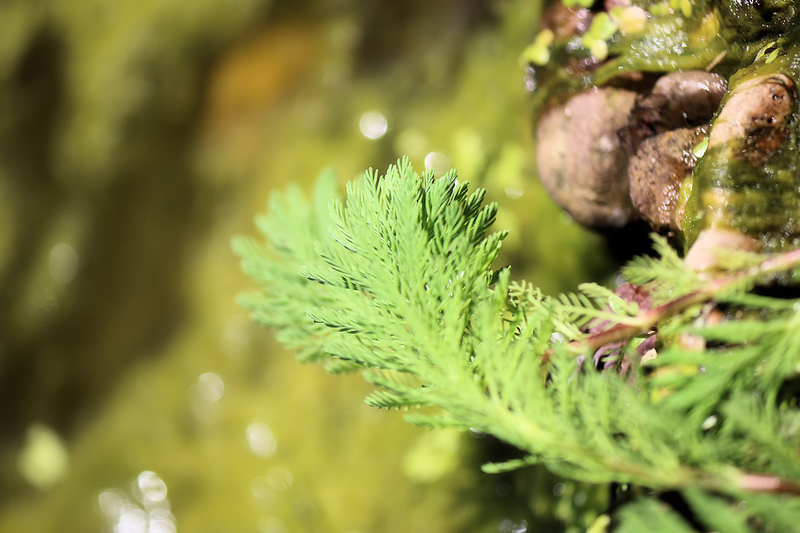 While at Ferguson Spring in Land Between The Lakes, we shot this close-up of plant life growing out of a nearby rock formation. 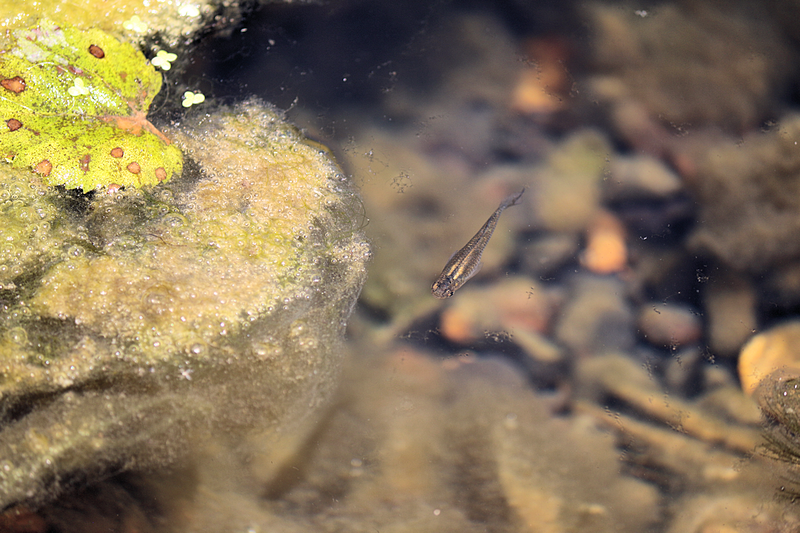 This little guy was swimming around oblivious of our close encounter. 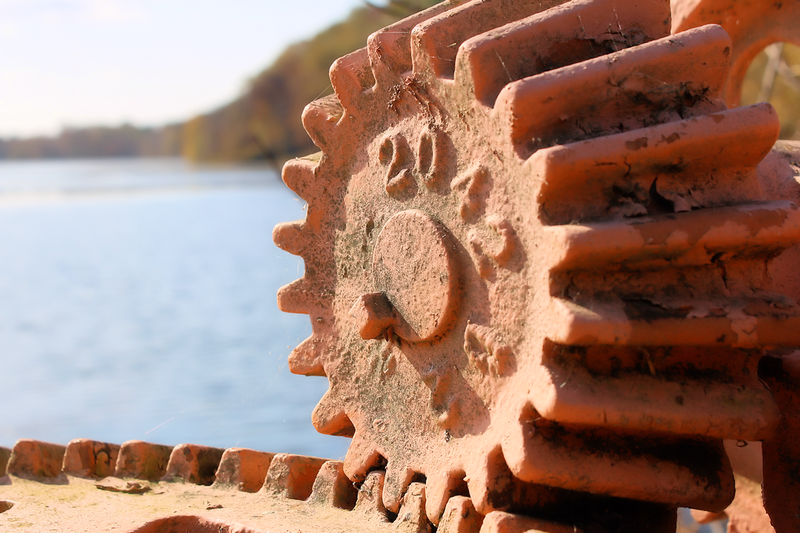 Photo taken at Ferguson Spring in Land Between The Lakes.